Those who never travelled to China may think of the country like of an album with black and white photographs. Nothing could be further from the truth. Driven by the economic growth and its accelerated entry in the western market, China combines the communist political regime with intense commercial and urban development. Located in the southeast of the country, in the Pearl River Delta and bordering Hong Kong, the city of Shenzhen is a symbol of this transformation. Shopping centres, a cluster of start-ups and large technology companies and also a green city full of skyscrapers, Shenzhen had been for 1,700 years until only 39 years ago a small village of farmers and fishermen. Shenzhen has a humid subtropical climate influenced by monsoons. The winters are dry and temperate, while the rainy season lasts from April to October. The monsoons reach their peak during the summer when the weather is humid and the temperature can reach 35 degrees Celsius. In 1979, the old village was completely transformed to create the infrastructure that would allow the city to receive foreign investment and private initiative. Thus, in the early 1980s, 20,000 builders arrived to build the first buildings and roads. The city underwent an unprecedented transformation in a few years: today there are 10 million inhabitants and 49 buildings that exceed 200 meters in height, while another 48 skyscrapers are under construction. The Diwang building or Shun Hing Square is an emblem of the financial centre of Shenzhen. It measures 384 meters and at the beginning of the 90s, it marked a record: four floors were built in nine days. It was also in the 90s that the first industrial parks were established around the city. A few years later, in the following decade, the government promoted the creation of a university center focused on the training of highly qualified personnel to supply the technological sector. In this way, Shenzhen was modeling an innovative and business profile. Today, it is home to 50,400 millionaires. The somewhat elongated strip from east to west that occupies the city is crossed to the north by a mountain line and to the south by the South China Sea. Surrounded by parks and hills, Shenzhen offers the possibility of great outdoor walks. From the coastal road, you can reach nearby beaches, such as Dameisha or the peninsula of Dapeng, and there are many water activities on these beaches. In addition, there are a lot of restaurants offering seafood that can be selected in the aquarium and cooked in plain sight. 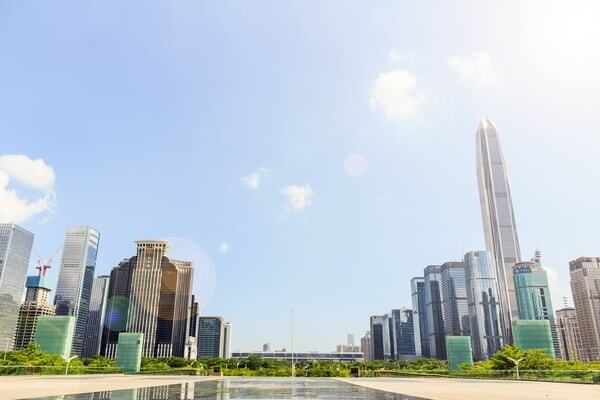 Futian is the governmental and financial district of Shenzhen. In this district, you will find a wide selection of schools (international and non-international), shopping centres and nightclubs. The areas with the highest concentration of expats are Coco Park and OCT (Overseas Chinese Town), where the most “popular” apartments in the city are located. Main subways stations are: OCT, Hongshuwan, Shenzhen Bay Park, Futian and Civic Center. Shekou, which is home to approximately 40 % of the expats living in Shenzhen, is located south of the Nanshan district, which also offers many of the city’s tourist attractions. Shekou was the only area where foreigners could originally live, and is also full of restaurants, bars, clubs and “western style” residential complexes. In addition, most of the city’s international schools and universities are located here. 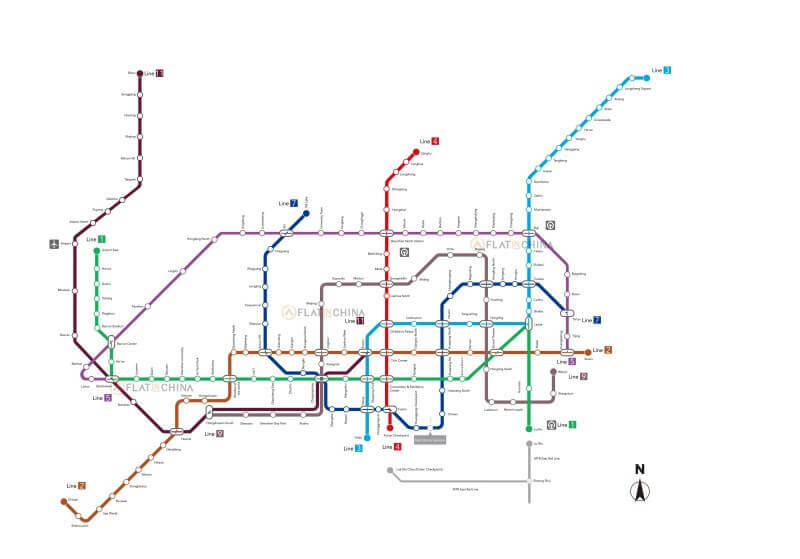 Main subways stations are: Nanshan, Qianhaiwan, Houhai and Wanxia. Luohu is the “oldest” neighborhood of Shenzhen, in the sense that when it was granted city status in 1979, this became the first official district. For historical reasons, it is the Shenzhen district that comes closest to “traditional” China. It has many shopping centers and walking areas; however, the apartments are, in general, smaller and less modern than those that can be found in Shekou and OCT.